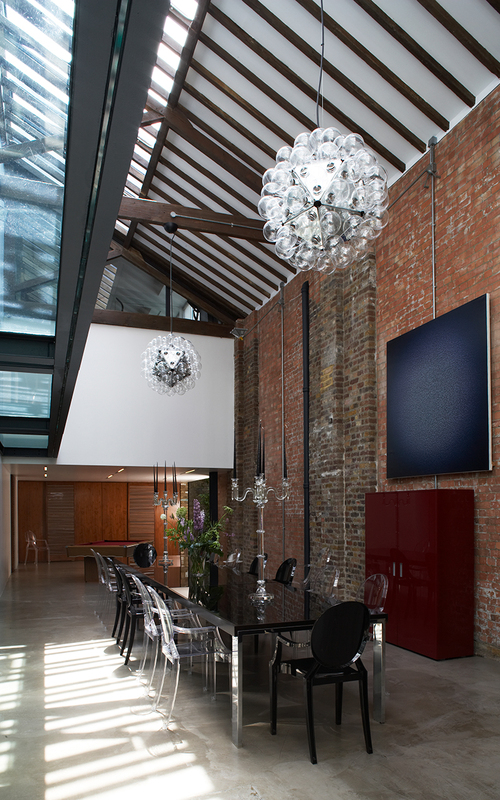 The Violin Factory is an old Victorian warehouse converted into an exclusive residential property located in London’s South Bank a few minutes’ walk from Waterloo Station & the Thames and available for exclusive use in its entirety. This unique 750sq metre hidden building is fitted out to the highest specification with bespoke interior touches, combining original features and minimalist architecture. The light and airy space combines innovative design producing either a brand match or a blank canvas, perfect for luxury brands, high end tech, home, fashion and food products. This converted New York influenced loft style property will not fail to wow event producers and guests alike. The open plan layout presents a spacious composition with a sense of intimacy across three levels. Natural daylight falls across the property with the option to have mood lighting in the evenings. The sheer ease of style, space and acute attention to detail effortlessly adds quality to your event. The Violin Factory is a truly unique and rare venue that is both an extremely high-spec, design conscious residential property and a discrete and well considered event space. There is the option to dry hire only or there are catering and production packages available. Onsite there is a fully functioning professional kitchen suited to the finest caterers adjoined to a large dining room which can seat 20 – 45 with standing capacity of 180. Theatre style layout can cater for 60-80. Facilities include a walk-in cold store/wine cellar, an interior ‘garden’ on the ground floor and exterior roof terraces on the third floor. The home cinema room can be expanded to cater for up to 20 people and there are three extra rooms on the first floor with bespoke and purposely designed furniture which can breakdown with ease, and concealed onsite to allow rooms to be adapted as required. There are six bathrooms, a study and a gym. Other facilities include 3 phase power, and great dedicated Wi-Fi.